Click HERE to watch a treatment! Microneedling is safe for nearly all skin types, microneedling helps activate the skin renewal process to make the skin appear fresher, firmer and more youthful. It is a skin rejuvenation treatment that naturally helps trigger your collagen and elastin within the skin. Tiny micro-channels are created in the skin while still keeping your epidermis intact. This controlled wounding process produces growth factors to help the body rebuild skin density and its integrity. It is similar to the way you “aerate” a lawn to feed it nutrients, microneedling helps to enhance penetration of corrective serums to give a smooth, even texture, fade pigmentation spots, and create healthy, glowing skin. You will see results that are similar to laser resurfacing, without the expense, pain, heat, or extended recovery. What type recovery time is necessary? A numbing cream is used before the treatment, so discomfort, if any, is minimal. The most sensitive areas tend to be the forehead and upper lip. How do I care for my skin before and after treatment? Before the treatment use of a Retinol serum maybe recommended and resumed after treatment. On the day of the treatment, a repair cream or Hyaluronic serum is applied to help relieve inflammation and begin the repair process. You may re-apply this cream or serum as often as you wish, but you may not wear anything else on your skin, not even sunscreen, after treatment the first day. On day two, you may use your normal cleansing routine, but if you are feeling any sensitivity, you will probably skip any active serums or treatment products until you are no longer sensitive (approx 1-2 days). Sunscreen is always a must, beginning the day after your treatment and Mineral foundation is the best after treatment make up! How many treatments does it take to see results? Results are different for everyone. 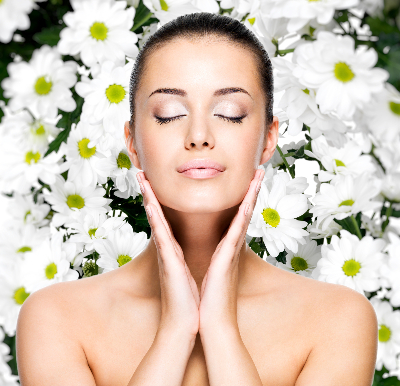 It really depends on what you are treating, and how you are taking care of your skin at home. You will notice smoother skin texture after your first treatment, with even better improvement after the second treatment. Best visible results are seen with a series of at least 4 to 10 treatments, spaced 4 weeks apart. How soon will I see results after treatment? After you have completed your series, it does take time to really see the difference the micro needling has made in your skin. Final results won’t be noticeable from three to twelve months after you have completed your service series, because boosting collagen and elastin within the dermis does not happen overnight. As well, depending on the amount of acne scarring or firming you need, the series may need to be repeated in order to see the visible results you want to see. You want an alternative to laser treatments that work as well, but are less expensive and less painful, and with a reduced recovery time. You are happy and patient with a “less is more” approach (you may need 4 or more treatments, depending on what we are treating). You need results with reduced recovery time and sensitivity, and you are not going to spend the next week with prolonged periods of sun exposure. You have a melasma and need an alternative treatment for it. Your skin color is too dark for laser devices or IPL. You desire better visible improvement for areas of deeper wrinkles, pigmented spots, indented scars, or stretch marks.